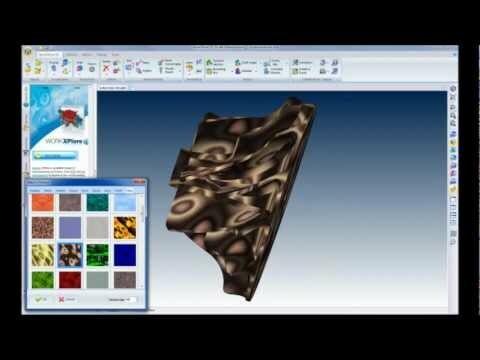 Comprueba la potencia de la herramienta de análisis "Sección Dinámica"
Gran variedad de materiales disponibles para que elijas la textura que mejor se adapte a tu geometría CAD 3D. 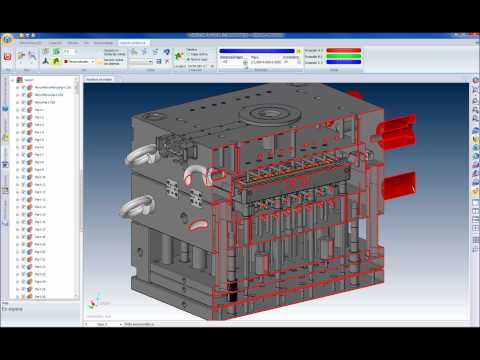 WorkXplore 3D has been created for the efficient import and analysis of files of all sizes and types but it is the speed at which it imports large, and even very large, 3D CAD files which is particularly impressive, often taking less than half the time to open a file compared to the original CAD application. WorkXplore 3D enables users to communicate 3D parts and assemblies to sub-contractors, customers or colleagues using an independent application generated by WorkXplore 3D. This application is extremely compact and easy to transmit by email. High performance displays include :Predefined windows with various views (face, top, bottom, left, right, iso,...); dynamic zoom, rotation and scroll; several display modes : 3D, shaded, wireframe, hidden lines or textured; colour transparency and visibility management for each object or surface. 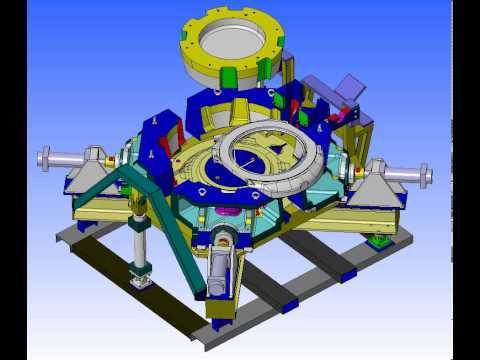 WorkXplore 3D features a wide range of 2D and 3D measurement functions. Even non-expert CAD users can quickly get to grips with the software and immediately obtain accurate results, by making use of the software's predefined selection modes (points, wireframe entities, planes, surfaces, etc). Automatic comparison of model revisions feature a 3D graphic display of the difference between the two models. The modifications are clearly identifiable by colours. By clicking on the model, the user can measure the difference in material to be added or removed between the two revisions. The dynamic reference controller allows users to control the section plane with the mouse in rotational and panning directions or following a guide curve. 3D measurements in a dynamic section can be carried out without extracting geometric data. WorkXplore 3D automatically colours draft angles and undercuts according to the mould stripping axis. Precise draft angle values are displayed as the mouse is dynamically dragged over the surfaces and can be inserted by default onto the 3D model.